By the way: Yes, this is a new feature here on reface.me! 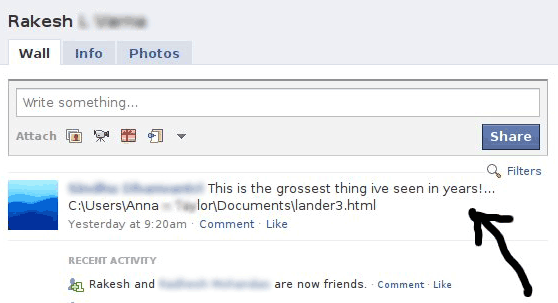 Each Friday we will try post a screenshot of a situation where Facebook or Facebook users go horribly but humorously wrong. Posted by Pieter on September 11, 2009 at 2:26 PM. Use this trackback if you're linking this story.